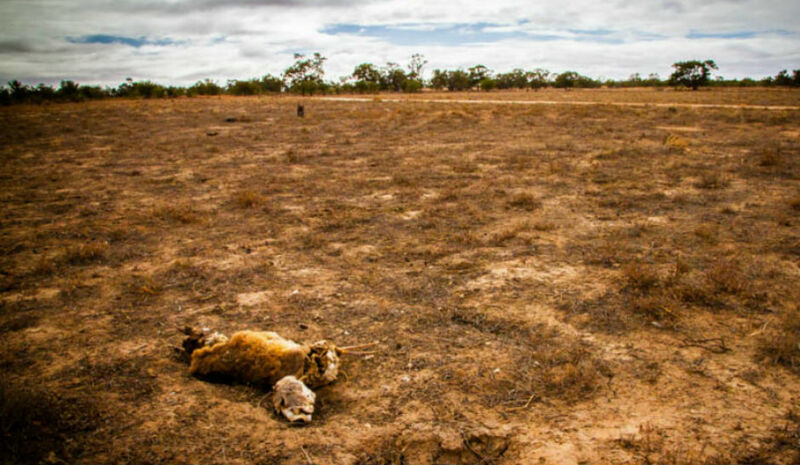 Farmers across New South Wales and Queensland are calling it the worst drought in living memory. Many are facing ruin and say it is time for their city cousins to acknowledge the disaster. 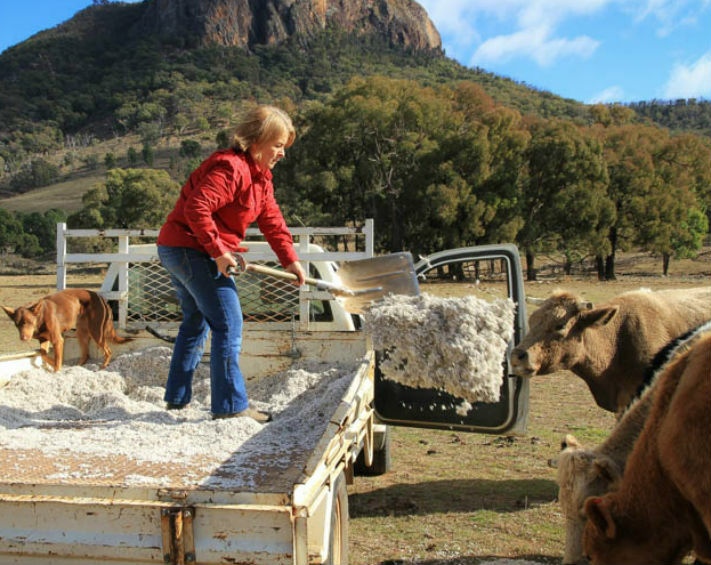 Upper Hunter cattle and sheep farmer Bev Hicks has never seen it so dry. Cattle and sheep farmer Bev Hicks breaks down in tears as she points out her dying trees. 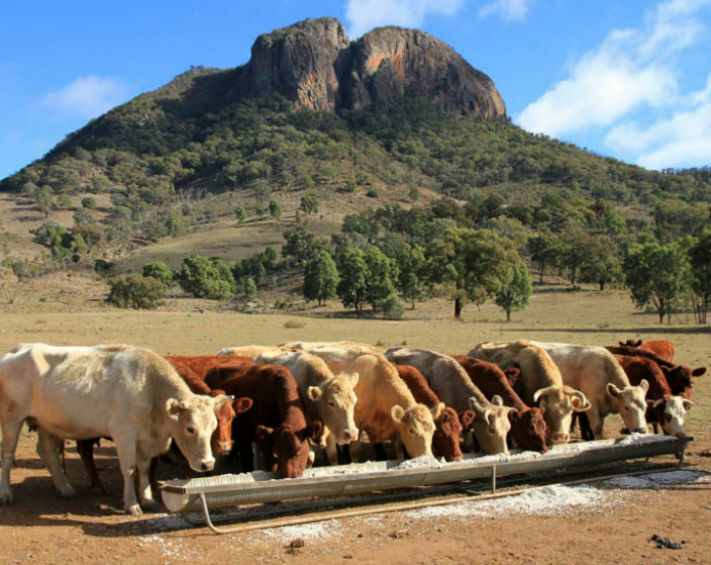 Ms Hicks is based near Denman in the Upper Hunter region of NSW where many landholders are running out of water. And they are not alone. 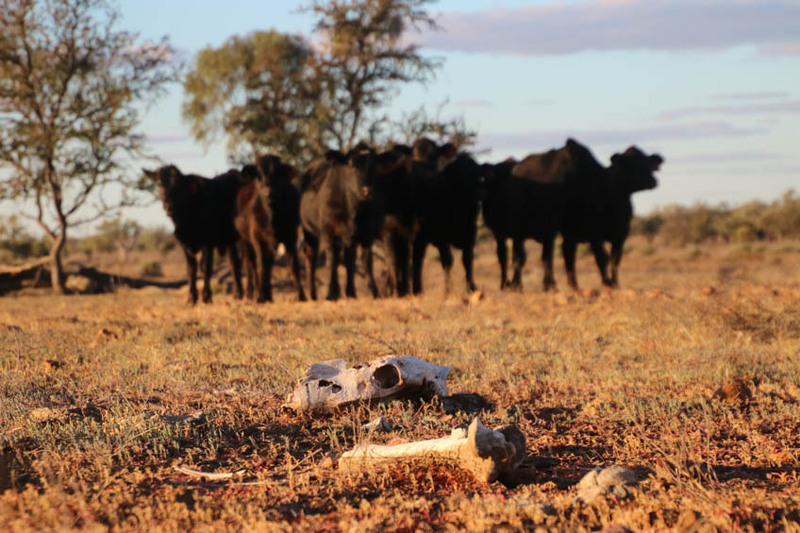 Ninety-eight per cent of NSW and around two-thirds of Queensland is in drought or drought-affected, with pastures turned to rubble and the cost of freight and feed skyrocketing. “I’m sick of this damn drought,” she says. 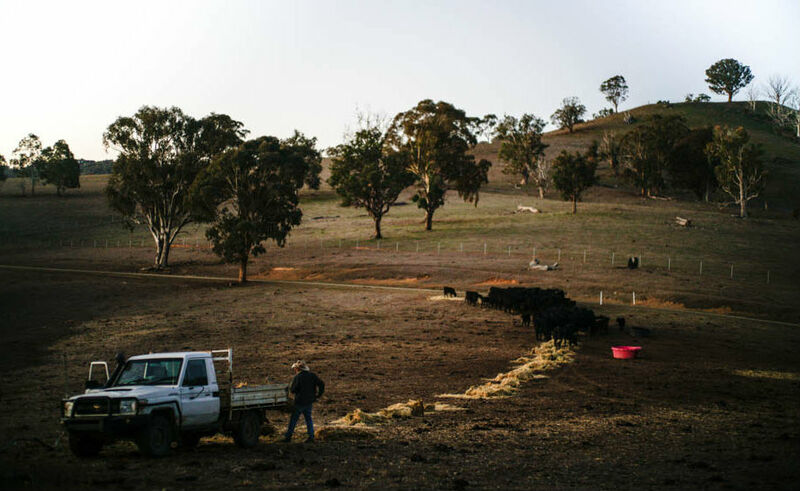 Nundle cattle farmer John Sylvester says conditions have never been tougher. 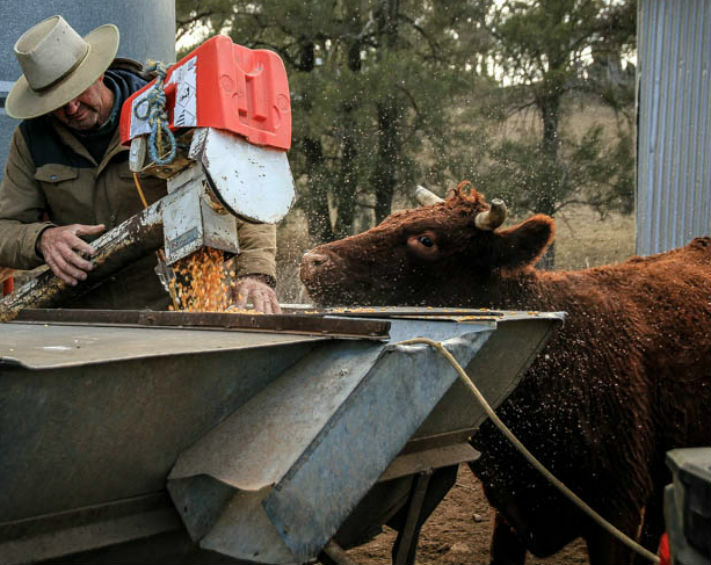 John Sylvester is buying hay to feed his drought-stricken cattle. Cattle feed on hay as paddocks have turned to dust. Currabubula publican Kathy Smith says the drought has brought pain to the whole community. 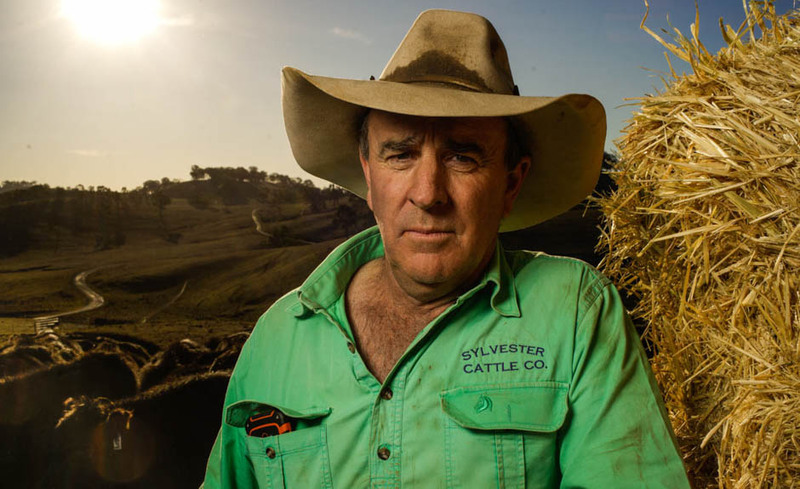 “It’s certainly the worst drought I’ve ever seen,” says cattle farmer John Sylvester. An hour up the road at Currabubula, publican Kathy Smith sees firsthand the emotional toll the drought is taking. 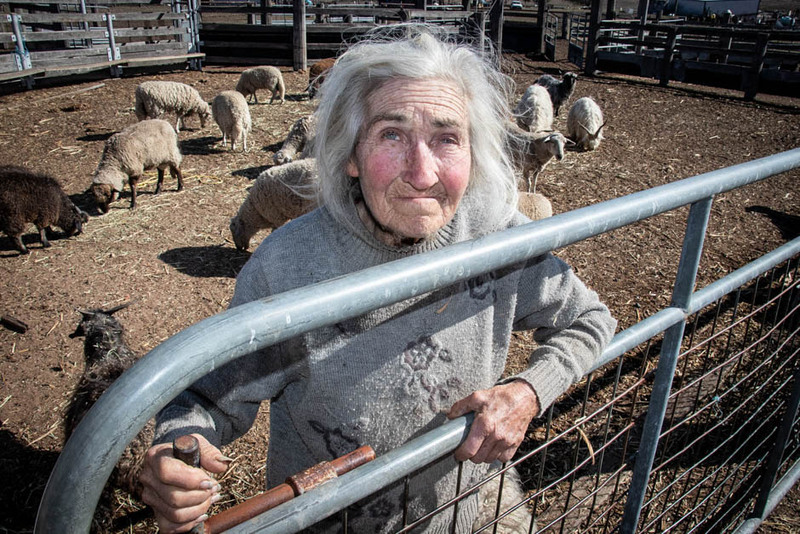 “One farmer said to me the other day they’re feeding their lambs, but the feed costs more than they can get for the lambs if they sell them,” Ms Smith says. Ms Smith says farmers’ pride keeps them quiet, but their plight needs to be recognised. 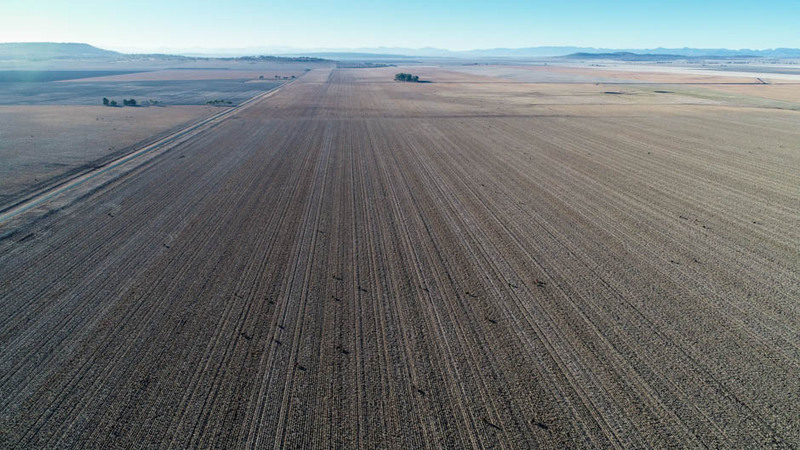 A property surrounded by dirt in the Liverpool Plains. 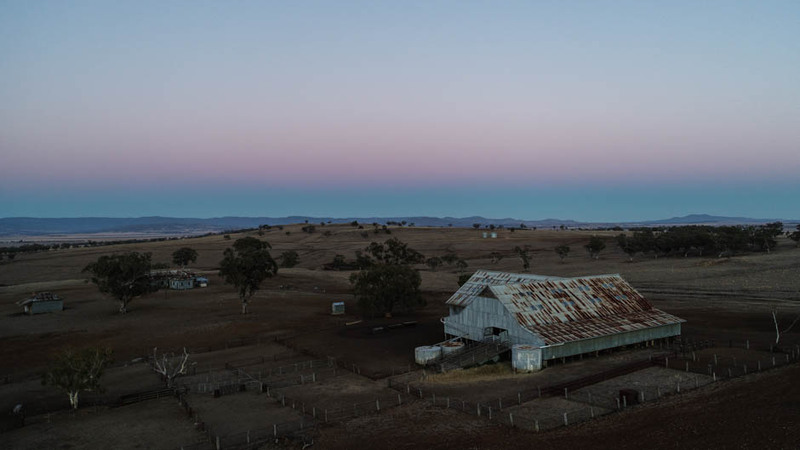 Vast swathes of land across New South Wales have turned to dust and rubble. 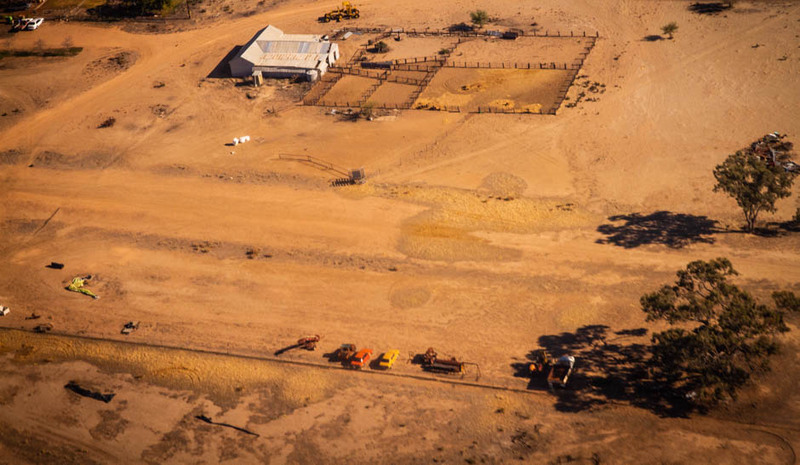 Drought stricken properties on the Liverpool Plains in New South Wales. Tamworth stock and station agent Simon Bourke says the drought has meant he’s selling livestock he doesn’t want to sell. Tamworth stock and station agent Simon Bourke says the drought is unprecedented. “Australia should be concerned because everyone is tightening their belts,” he says. And it is not just traditional farmers who are suffering. 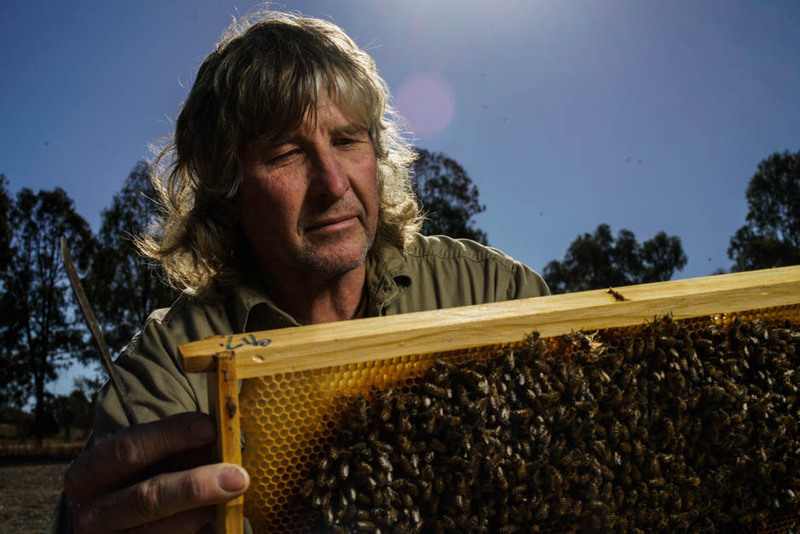 Tamworth beekeeper Ray Hull has run out of nectar. “We can buy sugar syrup to feed our bees, but the trees are 100 years old and once they’re gone you never get them back,” Mr Hull says. 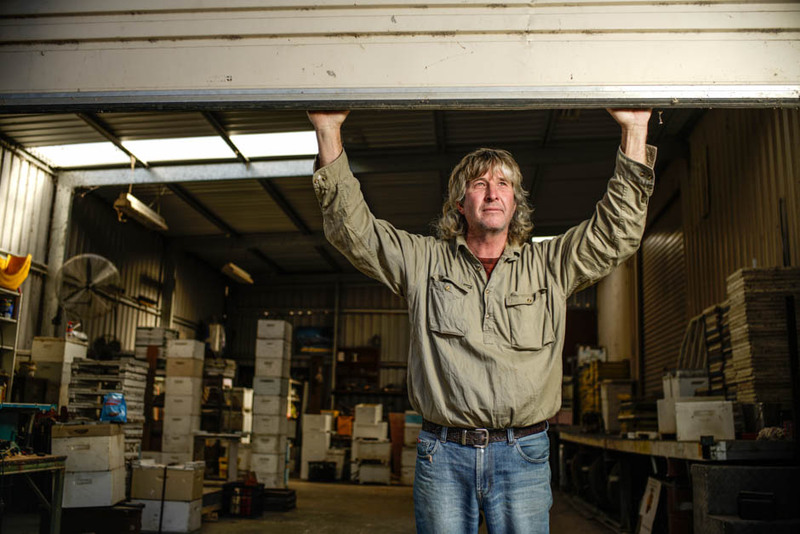 Tamworth beekeeper Ray Hull hasn’t had honey since Christmas. Beekeeper Ray Hull says the drought is killing trees, so he has to feed bees sugar syrup. In the lower Darling region near Pooncarie, sheep farmer Phil Wakefield scratches his head when asked where he will get his next lot of feed. “We’ve purchased about $100,000 worth of hay but I don’t know if I can buy any more because it’s too dear and it could be another $40,000 for freight on top of that,” he says. 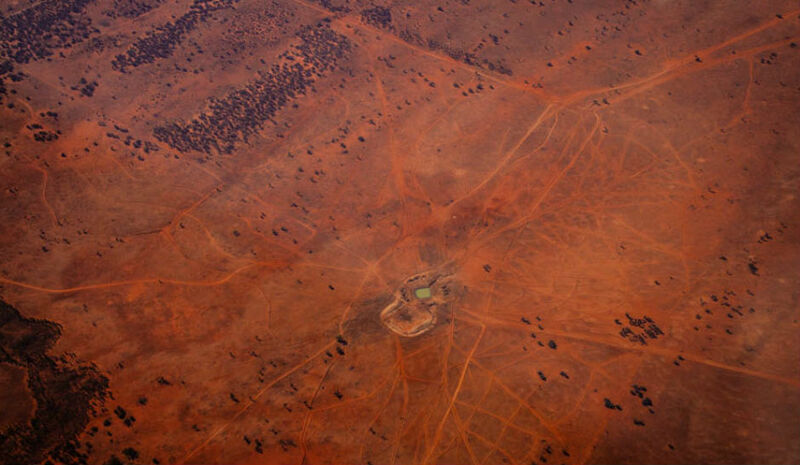 A sheep farm in drought-affected Pooncarie. A farm at Pooncarie in south-western New South Wales. Mr Wakefield has had to significantly de-stock, while watching ewes abandon lambs. He says money for bores would be handy, as the wait for rain and for the Darling River to fill drags on. Part of the dry Darling Anabranch in far western New South Wales. 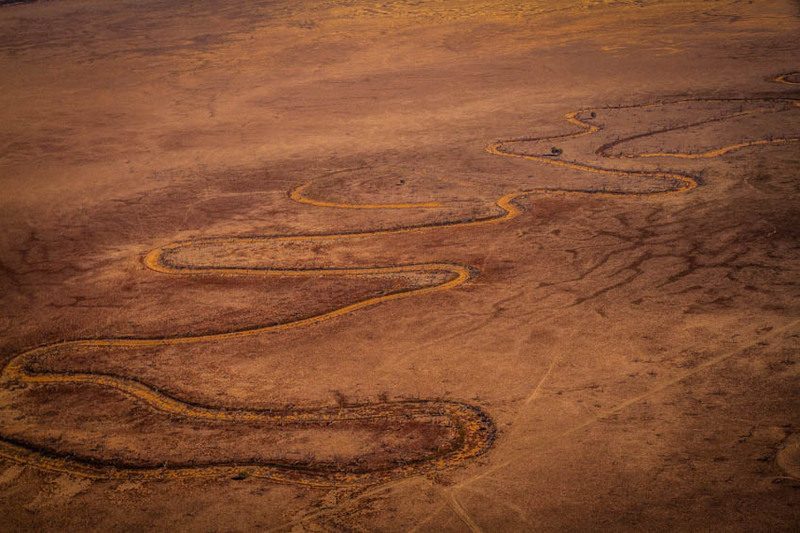 A dry lake in the Menindee Lakes system in far western New South Wales. A precious waterhole in far western New South Wales. In the Central West, Western Plains and North West Slopes regions, farmers say it is the worst drought in a century. 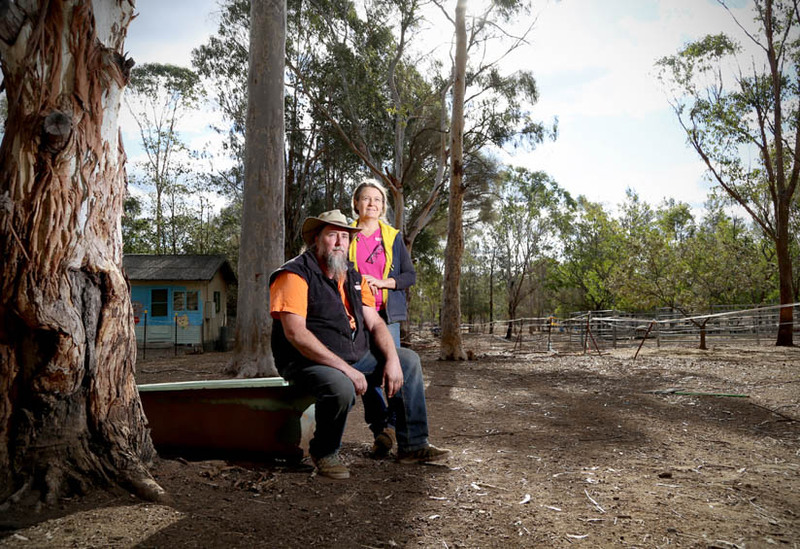 In 2013, sheep and cattle farmers Tony and Marie Knight suffered huge losses in the Wambelong bushfire near Coonabarabran. Their last decent drop of rain was more than a year ago. Marie Knight’s property near Coonabarabran has been hit by bushfire as well as drought. Tony and Marie Knight are buying in cotton seed and hay for their cattle. Coonabarabran farmer Tony Knight says farmers are horrified by the dry conditions in the region. 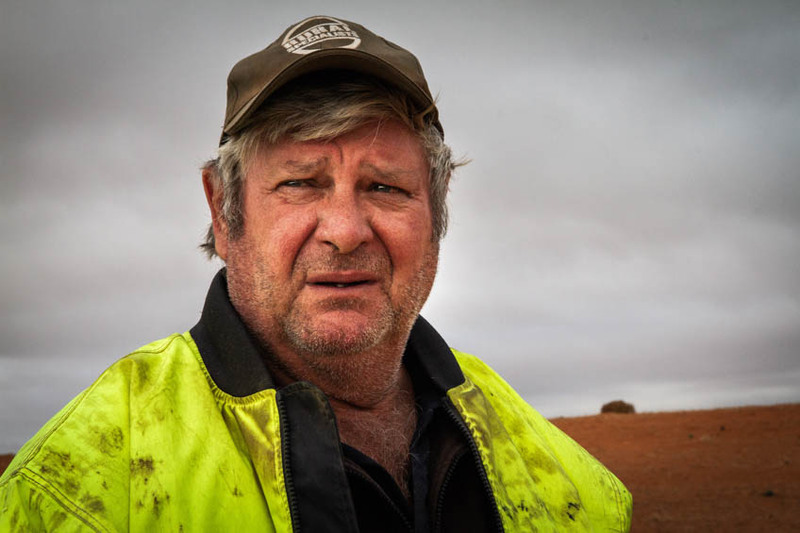 “It’s gone on for so long, it’s like back-to-back droughts … everybody is a bit shocked, horrified, because we never thought it could get as bad as this,” Mr Knight says. Thin cattle search for food near in Central Western New South Wales. On Sydney’s doorstep, the Southern Highlands region is deceptively green. But stockfeed supplier and sheep and chicken farmer Ken Walters says conditions are dire. 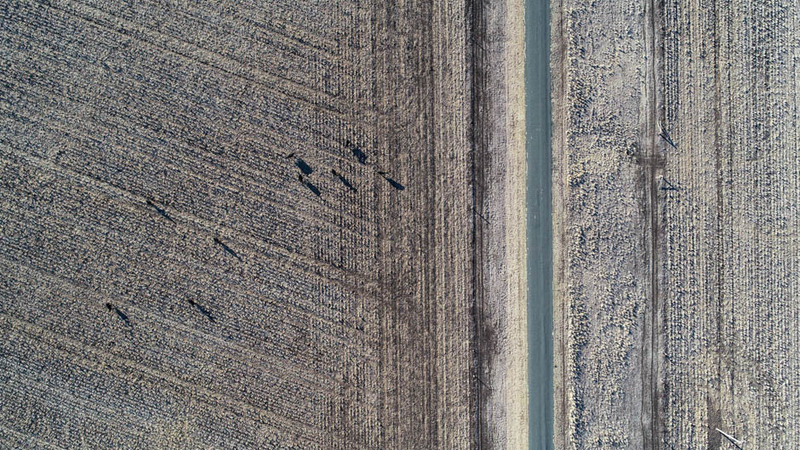 “We’ve had droughts over the years, numerous times, in the ’60s, ’80s, the millennial drought, but a lack of rain combined with record temperatures has just decimated everything,” he says. Southern Highlands stockfeed suppliers Deb Murtagh and Ken Walters say there’s not enough hay to go around to those who need it. Mr Walters’ partner Deb Murtagh says they have had to ration hay to customers. 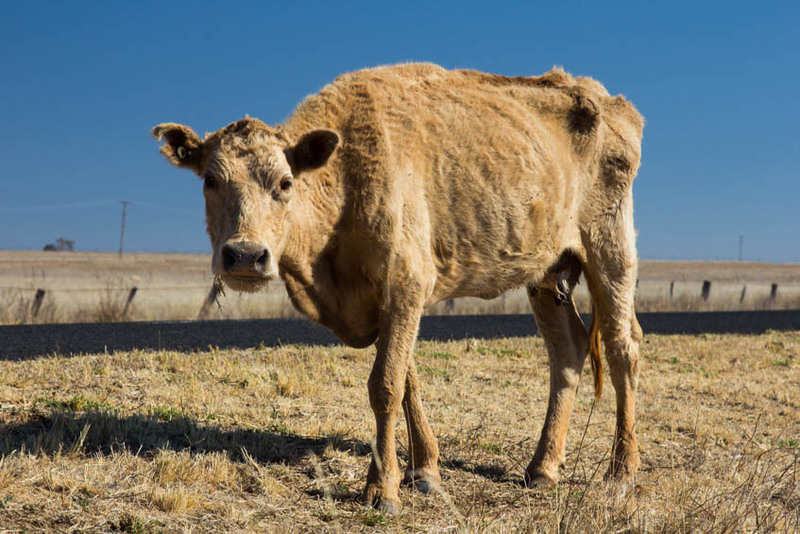 “No-one’s talking about drought because everyone in Sydney has still got water from the big dams and they can still wash their cars and their driveways,” Ms Murtagh says. 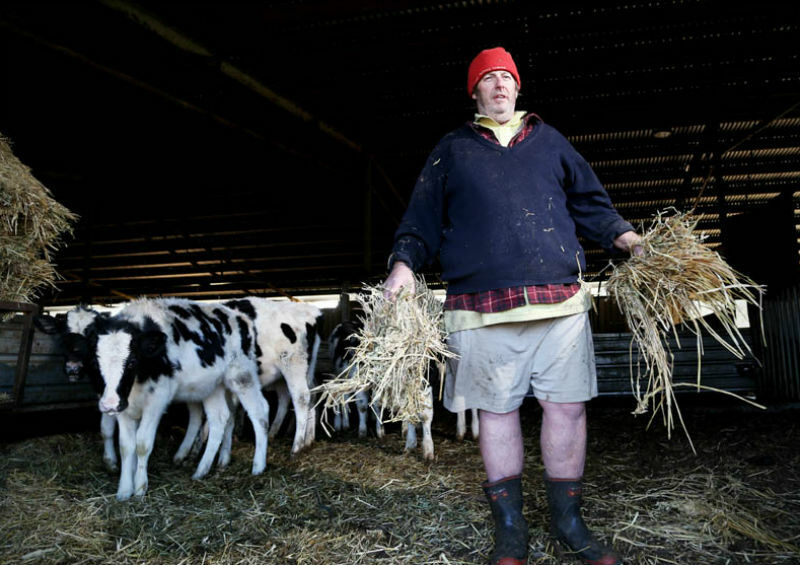 Dairy farmer Greg Schofield is struggling with the cost of feed due to the drought. Southern Highland farmer Greg Schofield says the drought is making tough times worse for the dairy industry. 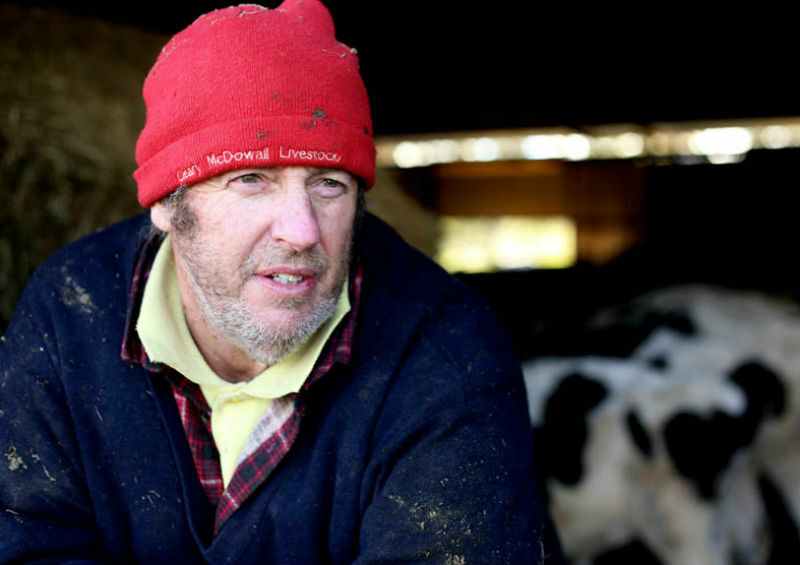 Greg Schofield is a fourth-generation dairy farmer at Avoca in the Southern Highlands, and says consumers don’t ask questions when they can buy dollar-a-litre milk. 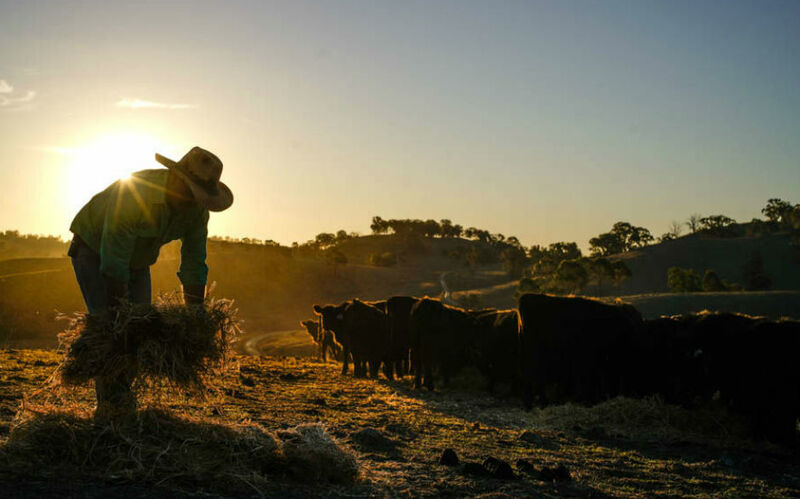 “It’s hard to look too much into the future with the price we’re getting for our milk compared to the price I have to pay for input products like hay, and there’s not a great deal of hay left in NSW,” he says. Drought-stricken Lorne Station at Blackall in Central Western Queensland. 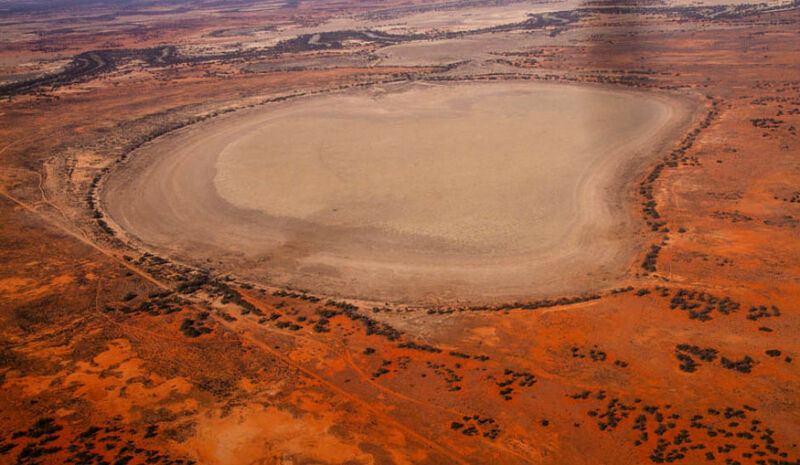 In Western Queensland, farmers are comparing this big dry to the famously severe drought of the 1880s. Genevieve Hawkins runs a cattle station near Aramac in Western Queensland where 2017 was the driest year in 38 years of records. “It’s patchy — some people have had rain, some people have had close to nothing and we are in the close-to-nothing patch,” she says. 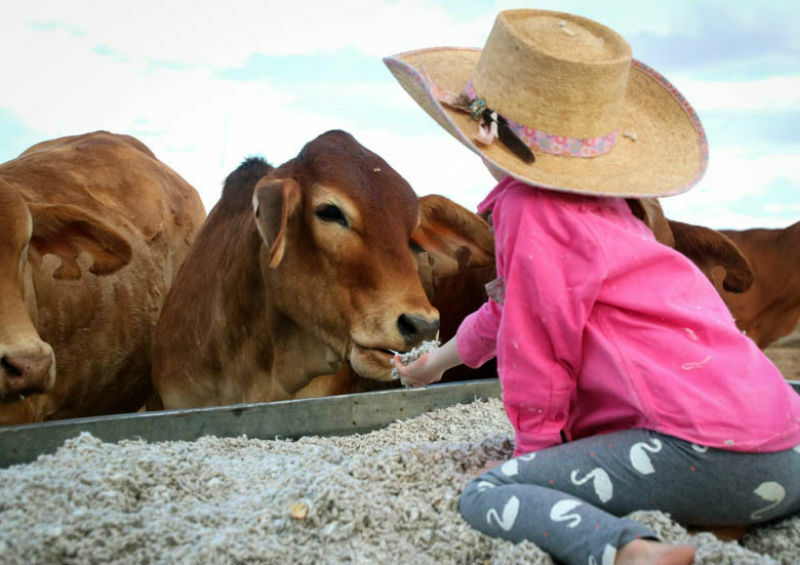 Lucy Hawkins, 7, feeding cattle cottonseed at her drought-stricken Western Queensland property. 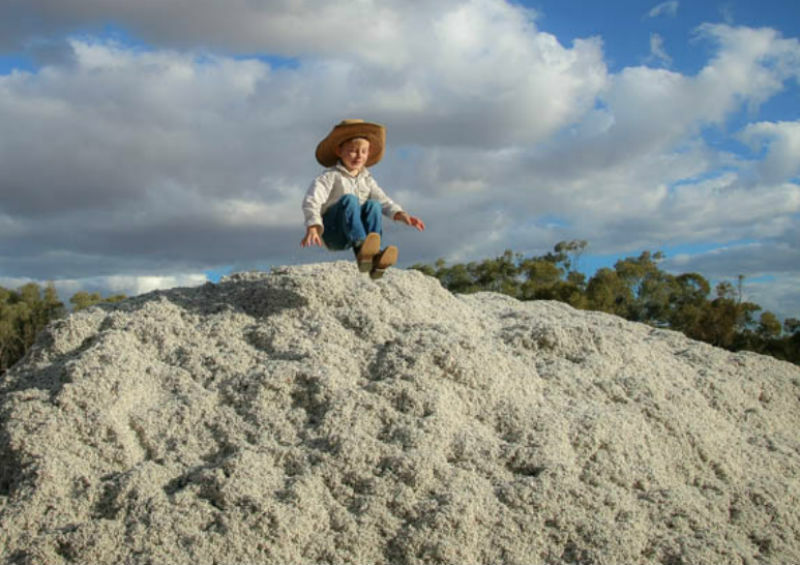 Five-year-old Fletcher Hawkins plays in cottonseed on his family’s cattle station. 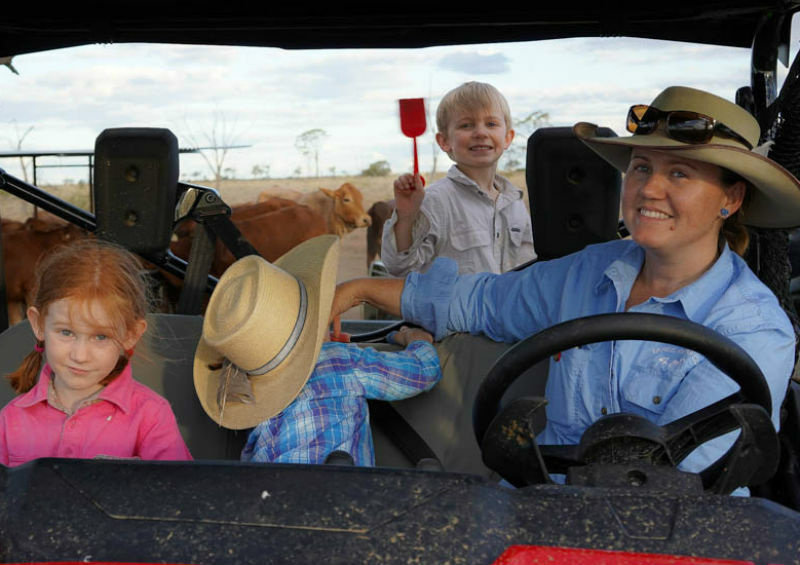 Genevieve Hawkins runs a cattle station with her husband Bryson, and children Lucy, 7, Fletcher, 5, and Clancy, 2, near Aramac in Western Queensland. Ms Hawkins has had to sell a lot of her cattle, while feeding what’s left with cotton seed. “It’s just relentless, you don’t sleep because you can’t stop thinking about it,” she says. “I’d really like people in the city to remember us, see us, hear us, know that we’re still here. Contributors: Samantha Turnbull, Kerri Kapernick, Gavin Coote, Justin Huntsdale, Jessie Davies, Cecilia Connell, Col Kerr, Jennifer Ingall, Matthew Bedford, Melanie Groves, Ollie Wykeham, Jennifer Douglas, Cherie von Horchner, Luke Wong, Aimee Volkofsky, Josh Becker, Micaela Hambrett.